Maryland Irish Claddagh Flag and Magnet unveiled! Just in time for the Annapolis Irish Fest on July 10, 2015. 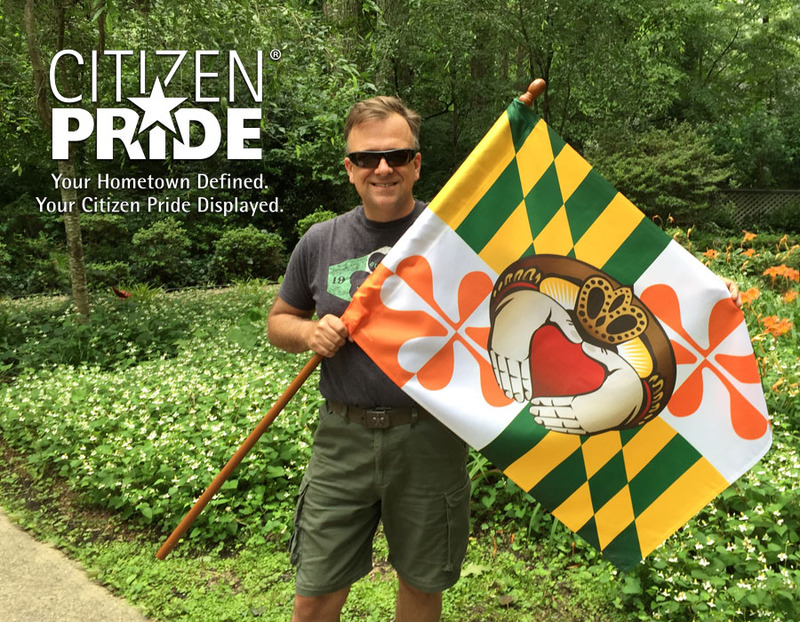 Citizen Pride created this new design to show off your Maryland and Irish Pride! 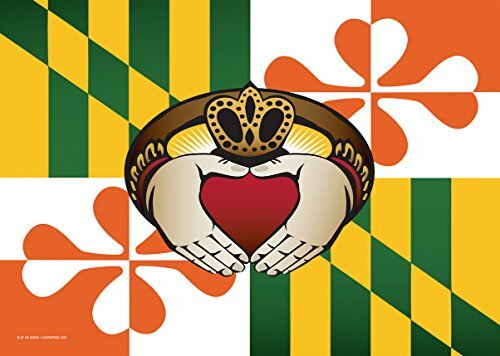 The Maryland Irish Claddagh flag is a tribute to Maryland’s love of Irish culture with this new design of the Maryland flag with the green, white and orange colors of the Irish flag and replacing the cross bottony with four leaf clover. In the center is the famous Irish symbol, the Claddagh ring. 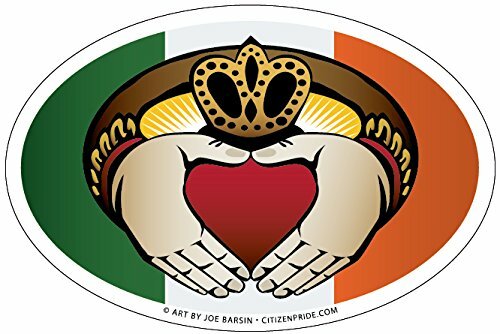 Citizen Pride slightly changed the Claddagh design by making the two hands form the shape of a heart versus clasping a heart. These elements of the Claddagh symbolize the qualities of love (the heart), friendship (the hands), and loyalty (the crown).